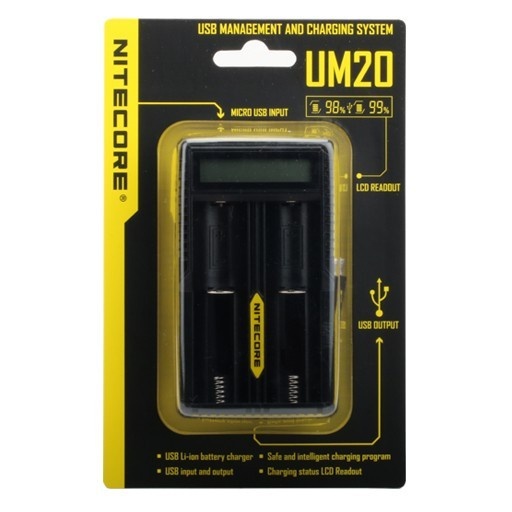 The Nitecore UM20 is a universal smart charger compatible with almost all cylindrical rechargeable batteries, thus eliminating the need to own several chargers. The UM20 automatically detects Li-ion, Ni-MH and Ni-Cd batteries, and through manual selection is also capable of charging LiFePO4 batteries. This dual bay, usb driven battery charger.